Join Hayden Visiting Artist Caroline Shaw, Estelí Gomez, B.A. 2008, and members of Mixed Company of Yale as they perform “Passacaglia” from Shaw’s Pulitzer Prize–winning composition “Partita for 8 Voices.” Mixed Company of Yale is an undergraduate a cappella group that has thrilled audiences on five continents with its intricate arrangements and diverse repertoire. 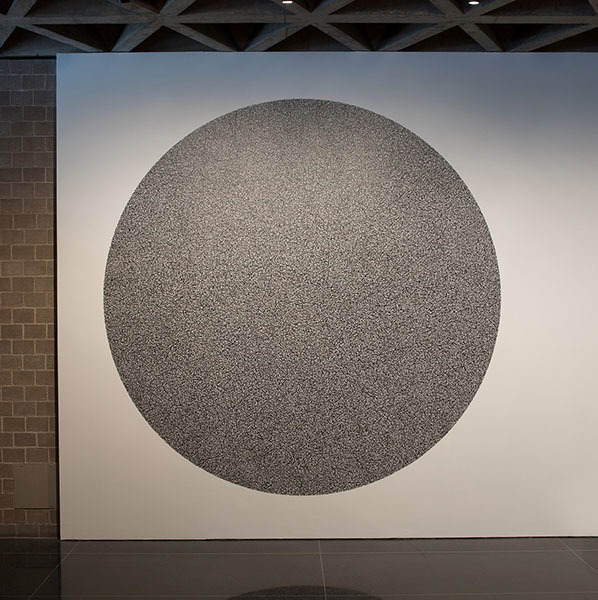 “Passacaglia” is inspired in part by the work of Sol LeWitt and features the recitation of LeWitt’s wall drawing instructions. Caroline Adelaide Shaw is a New York–based musician, vocalist, composer, and producer who performs in solo and collaborative projects. She is the youngest recipient of the Pulitzer Prize for Music, which she won in 2013 for “Partita for 8 Voices.” The winning composition was written for the Grammy-winning vocal ensemble Roomful of Teeth, of which she and Estelí Gomez are members. To learn more about Caroline Shaw, visit carolineshaw.com.